With the new Samsung Note 10.1, caricature artists can now go digital. 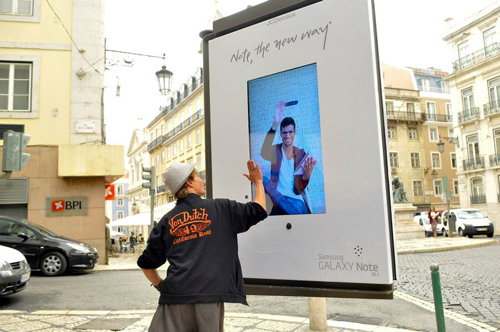 To highlight this feature and also raise awareness about the tablet, Samsung put a real caricature artist digitally into their billboard and then had him draw live caricatures of passers-by. The finished drawings were then put on the Samsung Portugal Facebook page.